The ninth annual Jimmy® Awards will be held today Monday, June 26th at 7:30 p.m. (EST) at the Minskoff Theatre on Broadway. 74 high school students from across America will compete for the Jimmy Award for Best Performance by an Actor and Actress. North Texans John Fredrickson and Shelby Priddy will be representing their high schools and the Dallas Summer Musicals High School Musical Theatre Awards (DSM HSMTA) program in this year’s competition. 2017 DSM HSMTA Best Actor winner, John Fredrickson from Guyer High School made North Texas history placing as a top finalist in last year’s Jimmy® Awards. Shelby Priddy from Mansfield High School won the 2017 DSM HSMTA Best Actress award and will compete for the first time in New York City with hopes of being the first Best Actress winner from North Texas. Fredrickson and Priddy each received a $10,000 scholarship and an all-expense paid trip for five days to New York City from DSM HSMTA program to represent their high school and North Texas in the national competition. Ceremony updates, Inspiring Teacher Award and the nominee award presentations will be streamed live on the Jimmy® Awards Facebook page, with a pre-show update beginning at 7:15 p.m. (EST). Stay tuned to our social channels for additional information! New York, NY – June 22, 2017 – The ninth annual JIMMY® AWARDS will be held on Monday, June 26th at 7:30PM at the Minskoff Theatre on Broadway. 74 high school students from across America will compete for the Jimmy Award for Best Performance by an Actor and Actress. Ceremony updates, Inspiring Teacher Award and the nominee award presentations will be streamed live on Facebook. Viewers should go to the Jimmy Awards Facebook page, beginning at 7:15pm NYC time for a pre-show update. There will be a second update at approximately 8:30pm during intermission. Stay tuned to the Jimmy Awards Facebook page for exact timing of the Awards Presentation, and sign up to get notified when we are LIVE. The Facebook livestream will be hosted by two student reporters, Julia Fernandez from the Rita Moreno Awards in San Jose, CA and Nate Garner from Illinois High School Musical Theatre Awards in Chicago, IL. The student reporters will provide updates at the start of the ceremony and at intermission. The awards presentation will include the student awards and speeches from this year’s Best Actress and Best Actor winners. Additionally, the inaugural Inspiring Teacher Award, presented by Wells Fargo, will be given to Brendan Jennings (Burbank, CA) and Larry Robinson (Monroe, NC) for the encouragement and inspiration that led their students to win the 2016 coveted Jimmy Award for Best Performance by an Actress and Best Performance by an Actor. Student performers qualify to compete in the national program by winning top honors at regional high school musical theatre awards competitions presented by Broadway League member performing arts centers. Over 1,300 high schools and 50,000 students participate in these annual events. Since the inception of the National High School Musical Theatre Awards (NHSMTA) in 2009, participating students have earned over $1,000,000 in university and conservatory scholarships. Several student participants have already been cast in Broadway, Touring and West End productions. Jimmy Award nominees are currently in the midst of preparing for their Broadway debut during a nine-day professional training intensive with NYU Tisch School of the Arts’ New Studio on Broadway faculty members plus other theatre professionals. The six coaches — ANDRÉA BURNS, RANDY GRAFF, ADAM KANTOR, MICHAEL McELROY, HOWARD McGILLIN, and SCHELE WILLIAMS are mentoring the 74 high school students from across America as they compete for the Jimmy® Award for Best Performance by an Actor and Actress. The two-hour talent showcase will feature dynamic ensemble and solo performances and will be hosted by 2017 Tony Award winner BEN PLATT, currently starring in Dear Evan Hansen on Broadway. KENNY ORTEGA will be a presenter. GASH, MONTEGO GLOVER, RACHEL HOFFMAN, KEVIN McCOLLUM, ALECIA PARKER, TARA RUBIN, BERNIE TELSEY, and CHARLOTTE WILCOX. Additional judges during the week were PAUL CANAAN, WAYNE CILENTO, TARA RUBIN, STEPHANIE KLAPPER, and CESAR ROCHA. The Jimmy Awards are presented by the Broadway League Foundation. Founded in 2009 by Nederlander Alliances LLC, Pittsburgh CLO, and Broadway Education Alliance (BEA), NHSMTA’s mission is to raise the profile of musical theatre in schools, recognize dedicated teachers and inspire the next generation of performers and enthusiasts. 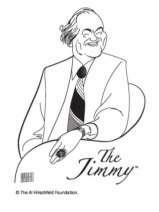 The Jimmy Awards are named in honor of the late James M. Nederlander, legendary Broadway producer/theatre owner. The NHSMTA program is supported by many leading theatre industry organizations. 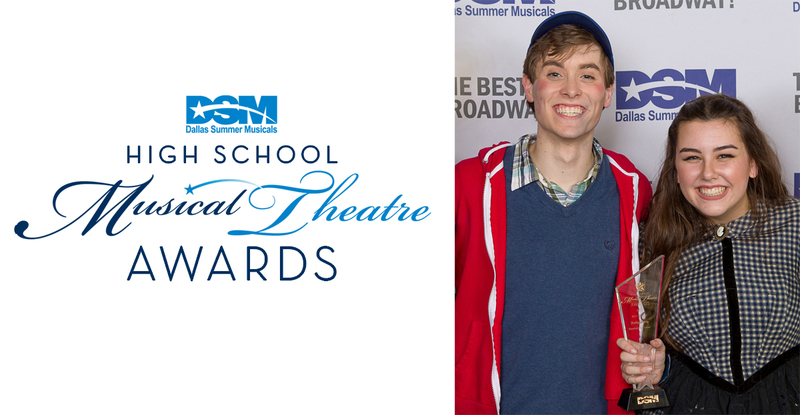 More information about the National High School Musical Theatre Awards program can be found at JIMMYAWARDS.COM. WELLS FARGO is the presenting sponsor of the inaugural Inspirational Teacher Award. Key League programs and resources include: Kids’ Night on Broadway®, The Jimmy Awards®, Stars in the Alley®, Internet Broadway Database® (ibdb.com), Broadway.org, SpotlightonBroadway.com, Commercial Theater Institute (with Theatre Development Fund), as well as numerous conferences and forums for our members. TheatreAccessNYC (co-produced with TDF) is the one-stop website of accessible Broadway performances for theatregoers with disabilities. Broadway.org is the League’s official on-line headquarters for Broadway in NYC, on tour, and internationally. For more information visit BroadwayLeague.com, or follow The Broadway League on Twitter @TheBwayLeague and on Facebook at Facebook.com/BroadwayLeague. Download the free Broadway.org and IBDB mobile apps from the iTunes App Store or Google Play.